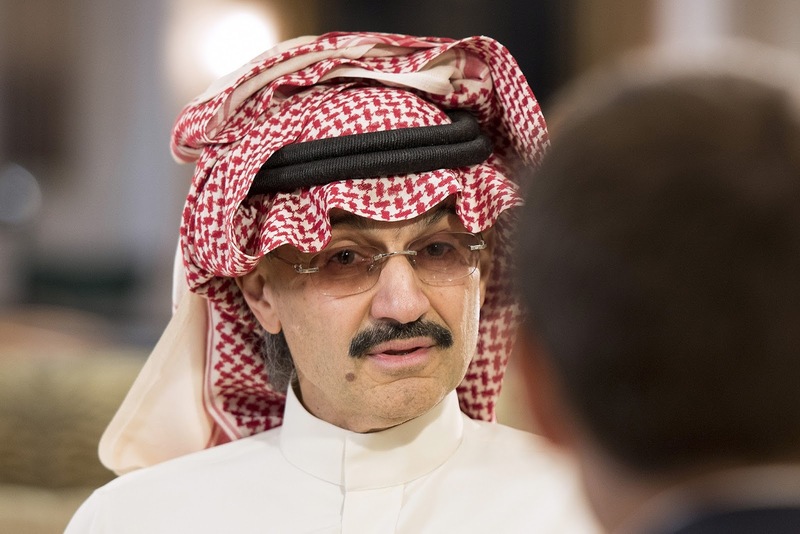 One of the world's richest men and most sought-after investors has been under arrest and even reportedly tortured for more than three weeks. That man is billionaire Saudi Prince Alwaleed bin Talal. He owns major stakes in Twitter and Citigroup. He was a key shareholder in 21st Century FOX. His television interviews, including on CNBC, are promoted with "must-watch" status. He's routinely called the "Warren Buffett of Saudi Arabia." But since November 5, bin Talal has been detained in a room at the Ritz Carlton in Riyadh. The hotel has become a de facto prison for more than 200 of his fellow princes and Saudi officials as new Crown Prince Mohammed bin Salman conducts a sweeping and stunning purge of his real and potential political opponents. To make matters worse, several credible reports have surfaced that bin Talal and the others are being tortured. One report says he's been hung upside down and beaten. Those stories gained a level of credence earlier this week when another prince, Miteb bin Abdullah, paid a reported $1 billion for his freedom. As bin Salman pushes to beef up Saudi Arabia's military power and alliances against Iran, the official reason for these arrests is that they are part of an "anti-corruption probe." But of course, the kingdom is not presenting anything in the way of documented evidence. That's not how they roll in a regime that Human Rights Watch points out has no written penal code or criminal rights. "Since November 5, bin Talal has been detained in a room at the Ritz Carlton in Riyadh. The hotel has become a de facto prison for more than 200 of his fellow princes." That brings us to an uncomfortable question: Where are Prince bin Talal's powerful business partners and political contacts who have been seen with him at DAVOS or dozens of other major world events? This was the man who stuck his neck out for years in support of the Murdoch family. And that includes the period in 2001 when calls to oust Rupert Murdoch and his sons were running high after the British News of the World phone tapping scandal. There has been no real protest on his behalf from the Murdochs or in their newspapers and TV networks. Others, like Bill Gates who called him an "important partner," have made lukewarm statements this past week. But none have met the level of urgency appropriate for a man detained with no documented charges and possibly under physical harm.